Planning for a family? While definitely an exciting time, it can also be incredibly stressful and confusing. There’s a ton of information available on the Internet -- some right, some wrong and some just downright scary -- and it can be hard to figure out where to start. At Eden Health, we can serve as your core navigator for family planning -- starting from the moment that you consider having a baby, through your baby’s first year. To start, below are some general health tips to keep in mind while planning for a family. Get familiar with your body and your benefits: If you have the time, make sure to dive into your health background, your partner’s health background (if s/he is involved) and your benefits as part of your family planning. ‍This includes things like considering genetic carrier testing, understanding what blood work and tests are required or recommended, knowing blood types, and becoming familiar with your insurance’s fertility benefits and in-network OBGYN options. Gathering all of this info - either on your own or in partnership with an Eden Health clinician - is an important first step before pregnancy. ‍Stay up to date on preventive care: You’ll want to make sure that you (and your partner) are up to date on your vaccinations, including childhood vaccinations. For example, Measles, Mumps, Rubella (MMR) is a vaccination we get as a child, but as we age, we may not remain completely vaccinated. You’ll want to make sure your provider checks your titer levels to see if you might need to be revaccinated. General health concerns while pregnant: Unfortunately, if you’re pregnant and happen to come down with something such as the flu, treatment options can be slim and complicated. Most medication, whether over-the-counter or prescription, can be harmful for the baby. Make sure to check with your provider before taking anything, no matter what you may have read on the Internet. ‍Ask away: This is a time full of change so don’t be afraid to ask any question -- no matter how big or small! If you haven’t checked already, see what type of access you have to your provider -- email, text, a messaging app or voicemail box. You never know what type of question might pop into your head at 2 a.m. on a Saturday morning! Concerns during breastfeeding: It’s very common for women to experience pain and even infections during breastfeeding. For example, mastitis (an infection that occurs when bacteria from the baby's mouth enters a crack in the skin of the mother's breast) happens frequently during breastfeeding. Rather than trying to travel to the doctor’s with a newborn, see if your provider has an option to diagnosis and treat you remotely (as Eden Health clinicians can) -- many of these concerns can be managed completely over telehealth. ‍In addition, be aware that most of what you consume -- food, alcohol, caffeine, OTC and prescription medications -- can be distributed in breastmilk. Make sure to check with your provider on what is and is not ok as you begin breastfeeding. ‍Postpartum care: Something to be aware of -- postpartum depression affects nearly 15-20% of women, and the risk of postpartum depression is double in women who have had a past medical history of depression. ‍It’s important to know some of the early signs so that treatment can start before symptoms become severe. 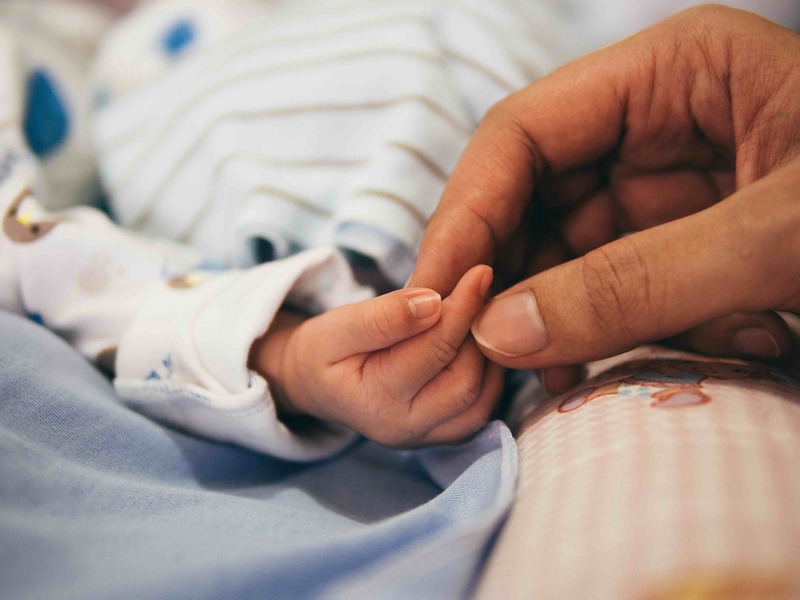 Talk to your provider at the first sign that something might feel different -- no matter how small or insignificant something may feel, remember that having a newborn is a huge milestone in your life. It’s ok if things aren’t going according to plan, and it’s much better to talk to someone versus trying to keep it inside. ‍Starting a family is a significant moment in anyone’s life and there’s a lot that goes into preparing and planning for that occasion. At Eden Health, our personal health platform can address all needs for new and expecting parents so they can sit back, relax, and enjoy the journey. Let us help you embark on the next big chapter of your lives!